TSE 811: How Do I Handle Objections? 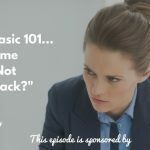 Home » TSE Podcast Post Page » TSE 811: How Do I Handle Objections? Your success as a sales professional depends largely on your ability to handle objections. Give up too quickly and you’ll miss an opportunity to dispel your client’s concerns. If you view the objection as a buying signal, you’ll create an opportunity to collaborate with the customer. On today’s episode of The Sales Evangelist, Jim Jacobus shares his experience with objections and explains why sales professionals must learn to handle “no” if they want to succeed. Customers often object to price without realizing their concerns might actually lie elsewhere. Objections give us an opportunity to ask questions and identify what their true objections are. Is the payment too high? Is it outside of their budget? It is truly too expensive? Objections create dialogue which provides clarity. Most sales people give up too quickly because they have never been taught to handle objections. Inexperienced salespeople will address objections by immediately discounting the price. Very often, though, the price wasn’t the true problem. Honor the objection, clarify it, and then respond to it. When the client presents an objection, you have to respond as quickly and unemotionally as you would if he asked your birthday. Don’t flinch. Get good at responding to objections. Three possibilities exist in any transaction: great price, great quality and great service. You can have two, but you can’t have all three. Objections determine which two are most important to your customer. If your customer is less concerned with service, you’ll adjust your presentation to focus on quality and price. When sellers and buyers are on the same page, the relationship becomes collaborative instead of subservient. Each party gets to decide today whether to do business with the other. “No’s” are part of sales. If you can handle objections, you’ll develop the ability to bounce back at the highest level when the stakes are high. If someone says no to listing a house with you, and it keeps you out of the game for two weeks, the agent that bounced back the same day will be more productive than you are. She’ll sell more. If you can’t learn to handle adversity and objections, you don’t belong in sales. Handling objections is your greatest opportunity to demonstrate your expertise and your competence. Understanding how to overcome objections enables you to provide tremendous value to the customer. It is possible to learn to address, overcome, and even prevent objections. 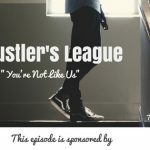 The Sales Evangelist Hustler’s League is an online coaching program for sellers of all levels and all industries, and we can coach you through objections. We can teach you what to look for and how to avoid getting stuck. Our spring semester begins this month, and we’d be honored to have you join us. If you enjoyed this podcast, subscribe to it so you won’t miss a single episode, and then tell others about it. Consider leaving us a review wherever you consume the content so others will have a better chance to find us. To connect with Jim, find him on Facebook, or email him at jim@jjacobus.com. You can also connect with him on The Sales Evangelizers Facebook page by tagging him in a question or comment. Additionally, Jim recently launched a podcast called The “Man Up” Project 2020 aimed at helping men navigate their lives as husbands, fathers, businessmen, and leaders. If you love it, subscribe, and share the message with others. Check out the The “Man Up” Project 2020 Facebook page, engage with the content, and share it with others who might benefit from it.